Researchers are understood to have sourced commercially available genetic material to stitch together the horsepox virus, which is considered extinct in the wild. The move was a step toward a potentially better smallpox-preventing vaccine in humans, but the recreation of the horse virus is likely to prove controversial. The laboratory achievement has been reported in a news story in the journal Science, with the work also mentioned in a release from a pharmaceutical company last March. Horsepox is a viral disease in horses characterized by eruptions in the mouth and on the skin, particularly around the pasterns. It is believed to have been eradicated. The horsepox virus is not harmful to humans. No true horsepox outbreaks have been reported since 1976, at which time the US Department of Agriculture obtained the viral sample used for the genetic sequence published in 2006 that allowed the synthesis of the horsepox virus, leading to the potential smallpox vaccine, dubbed TNX-801. It is part of a genus of viruses that includes 10 species, including smallpox, cowpox and monkeypox. The most notorious member is the variola virus, which causes smallpox in humans. The disease was eradicated worldwide using a virus-based vaccine. No cases of naturally occurring smallpox have been reported since 1977, but being able to provide safe and effective smallpox-preventing vaccines remains important and necessary for protecting public health. 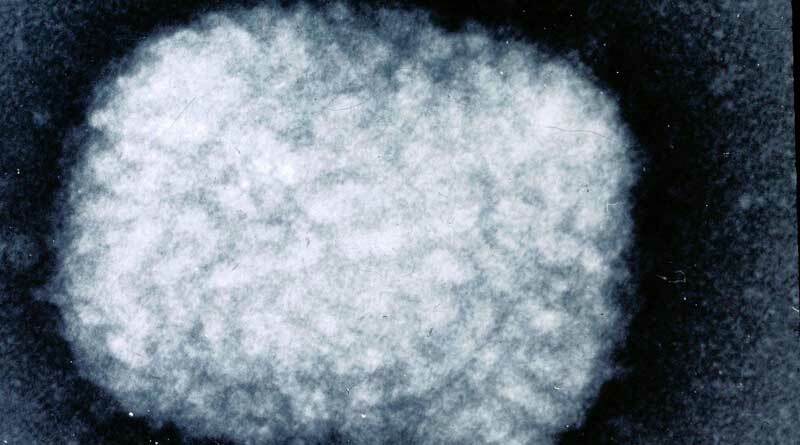 Smallpox is considered one of the most dangerous potential biological weapons, being highly contagious and with few people enjoying natural immunity. No effective treatment exists and up to a third of sufferers are likely to die. The March press statement by Tonix Pharmaceuticals announced that research had demonstrated vaccine activity in the first-ever synthesized chimeric horsepox virus. The company said it had worked with researchers from the University of Alberta in Canada in the effort to produce a potential smallpox-preventing vaccine. It says the vaccine candidate is a live form of horsepox virus which has been demonstrated to have protective vaccine activity in mice. “By developing TNX-801 as a horsepox vaccine to prevent smallpox infection, we hope to have a safer vaccine to protect against smallpox than is currently available,” said the company’s president and chief executive, Seth Lederman. The University of Alberta’s Professor David Evans, a virologist who is principal investigator of the TNX-801 research project, said the goal was to improve on current methods that protected the public from possible viral outbreaks. The horsepox virus was synthesized by Evans and research associate Ryan Noyce, with Lederman as co-investigator of the research and co-inventor of the TNX-801 patent. Under their research and development agreement, Tonix wholly owns the synthesized horsepox virus stock and related sequences. Evans and Noyce demonstrated that the horsepox virus has protective vaccine activity in mice. Vaccine manufacturing activities have been initiated by Tonix to support further nonclinical testing of TNX-801. The Science news story reported that the Canadian researchers had reconstituted the horsepox virus for $100,000 using what it described as mail-order DNA. The research has given rise to concerns that the same techniques used by Evans could be used to recreate smallpox, declared eradicated in 1980. “No question. If it’s possible with horsepox, it’s possible with smallpox,” virologist Gerd Sutter of Ludwig Maximilians University in Munich, Germany, told Science. Producing the smallpox virus would be illegal internationally, with laboratories not permitted to assemble more than 20% of its genetic makeup.